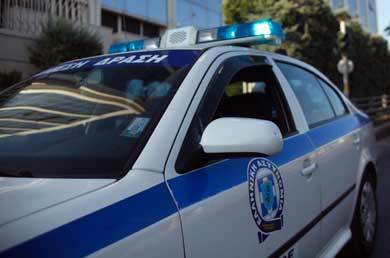 A large group of men assaulted a police patrol vehicle at Evelpidon Street court complex in downtown Athens on Thursday. The officers were carrying a suspect arrested earlier when they came under the attack of around 20 men, as reported by Skai. Reportedly, the men attacked the police car in order to prevent the police officers from doing their job and did not know the suspect that was being held in the squad car. The two officers in the vehicle were clearly outnumbered and fled the scene, unable to handle the situation. One of the officers sustained injuries after being beaten with sticks and is being treated. The officers radioed for help from the DIAS motorcycle squad, which dispersed the violent protesters before they were able to release the suspect from the police car.